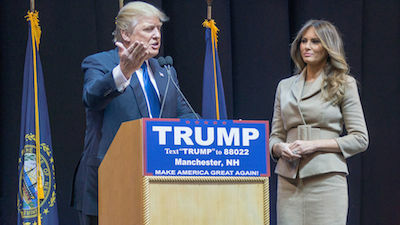 Donald and Melania Trump, Creative Commons Image by Marc Nozell. After filing a lawsuit in California against Republican Presidential Candidate Donald Trump, which was dismissed reportedly due to issues with her paperwork, “Jane Doe,” a California resident, has made another attempt, this time with Princeton, NJ patent attorney Thomas Meagher, who initiated the filing of a $75,000 lawsuit against Trump as well as convicted billionaire Jeffrey E. Epstein. The latest case alleges that Trump, who also knows Epstein, raped the victim when she was 13 several times at parties at Epstein’s home in Manhattan. The victim today is about 33. The suit also involves the testimony of a woman who claimed to be a witness, using the alias, “Tiffany Doe” in her testimony. Click here for a copy of the suit. Stockman, who assures readers that Law Newz will continue to keep its eye on the suit’s docket said that the statute of limitations “has run up” on many of the claims within the suit. She also noted that there is no known police report, DNA evidence, or taped conversations, and only the other testimony of “Tiffany Doe” backing “Jane Doe’s” statement. Meagher, according to Stockman who noted the repercussions for false allegations in her story, said that Jane Doe’s attorney, did not respond to multiple requests for comment to Law Newz. 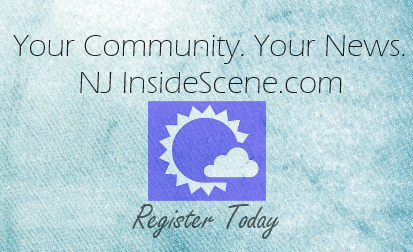 InsideScene.com consulted with Richard D. Pompelio, Esq. of the New Jersey Crime Victims’ Law Center about the case. The law center is the first of its kind in the nation offering pro bono representation to crime victims. He not only assured that the New Jersey State Constitution was equipped with the Crime Victims Rights Amendment and helped to strengthen New Jersey’s legislation in benefit of crime victims with tougher consequences for those guilty of violent crimes, but he was also the chairman of the Victims of Crime Compensation Board. Pompelio offers objective insight into the suit, after having read several articles as well as the original complaint against Trump and Epstein. Among Pompelio’s concerns he asked why “Jane Doe” did not find an experienced attorney to take the case. According to Meagher’s own website, which has now been taken down (Law Newz provided an archived version, click here), details only his experience in trademark, commercial defamation and patent litigation. Meagher also described his experience in the field of patent litigation, licensing and prosecution management. In addition to his J.D., he was awarded a B.S. in Electrical Engineering. Like this story? Then stay on the scene with InsideScene.com. Click here to like Inside Scene’s Facebook Page.